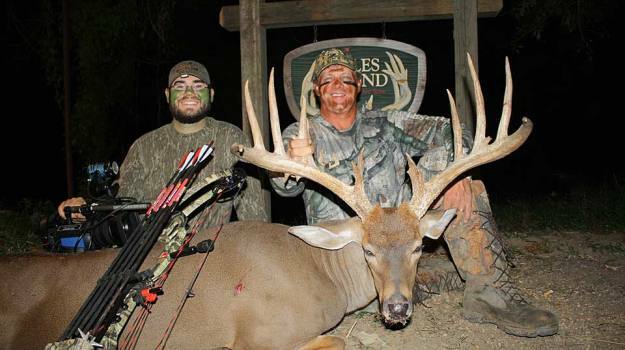 One of the reasons many hunters don’t harvest more trophy bucks is when they see those big-body deer with big antlers, they often go into panic mode and get stressed out. To help solve that problem, our hunters sit with their guides, and their guides are accustomed to seeing big deer. They try to help calm the hunter down, before he prepares for the shot. Another reason hunters stress out is they put way too much pressure on themselves to harvest deer. 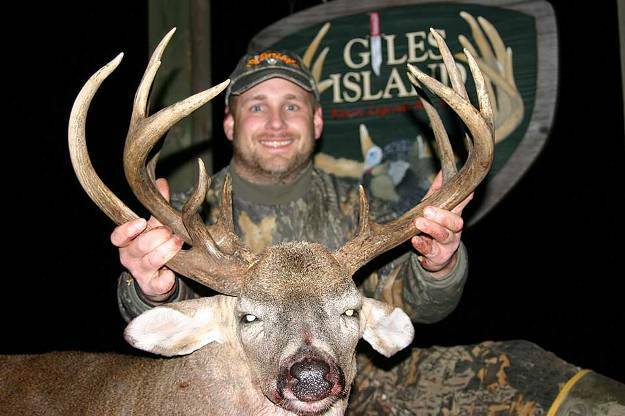 Our hunters usually hunt for 3 days on Giles Island. So, they're terribly anxious about taking bucks. Really and truly this is true for hunters all over the nation. If they hunt only on weekends, or they take a week’s vacation to hunt, they may become anxious to take deer during the time they have to hunt. Because of this anxiety factor, many times hunters move around in their stands and/or make too much noise in their stands. The other factor that goes along with making noise and moving is many hunters don’t know when they can move, and when they can’t move to get a shot. Once again, this is where I feel that the one-on-one guide service that we provide drastically increases our hunter’s odds for taking an older-age-class buck, since the guide is a very, very experienced deer hunter. Our guides may whisper to the hunter, “Wait until that buck has his head behind the big water oak tree. Then draw your bow, and get ready for the shot.” Or, the guide may say, “Come to full draw now. When the buck steps out from behind that tree, and you have a clean shot to his vitals, take it.” A hunter has to have an awful lot of encounters to learn when he can and can’t move. 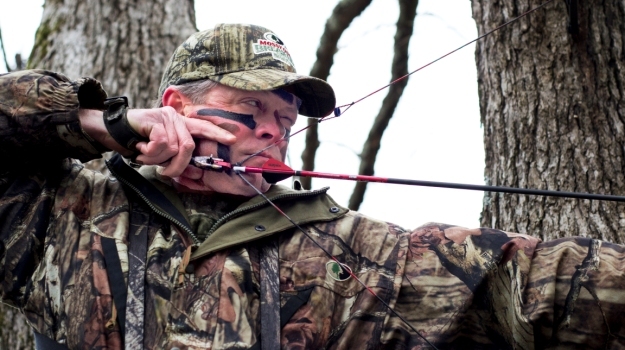 Most of our hunters don’t spend 4 months hunting whitetails each year like our guides do. So, by having a guide coach in the tree stand with them, we can help minimize the chances of our hunter moving at the wrong time and the deer spotting a hunter. We’ve learned from spending many hours each year guiding hunters that if you're wearing Mossy Oak camouflage, and you don’t move, even if the deer looks straight at you, he won’t see you. Usually, they’ll put their heads back down and continue to feed or to walk in the directions they're headed. 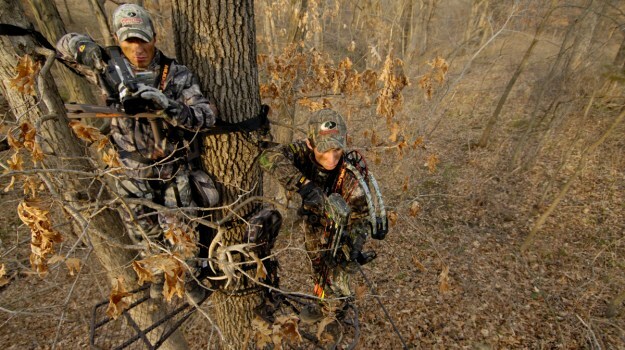 However, many hunters think that if they’re hunting from tree stands and are 20 or 30 feet up, they can get away with a lot of movement without being seen by the deer. They can, if the deer’s head is down feeding, if the deer is looking away from them, or if the deer’s head is behind a tree or bush. 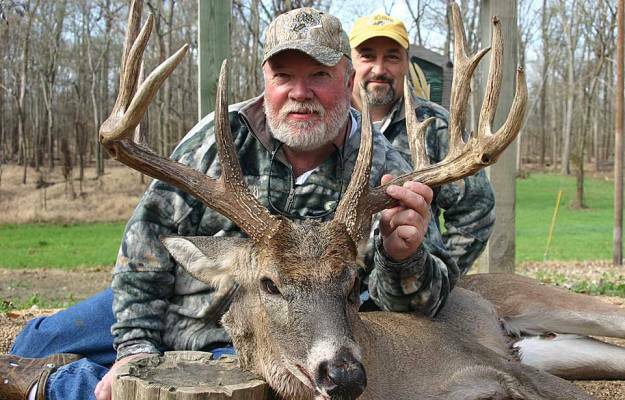 Another reason hunters fail to take older-age-class bucks is they forget about the other deer. 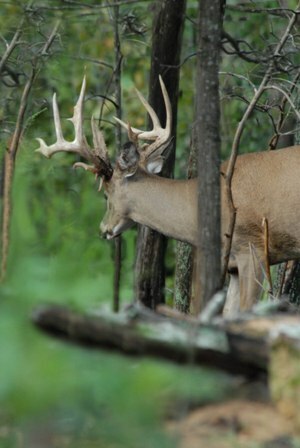 When a hunter sees a big mature whitetail that he wants to take, he’ll become so focused on that deer that he forgets about the does and younger deer that may be right under his stand. So, if the buck the hunter wants to take puts his head behind a tree or a bush, and the other deer around this stand are looking at the hunter, then once the hunter gets ready to make the draw or puts his cheek against the stock to get ready for the shot, the deer the hunter hasn’t been watching will spook the buck the hunter has intended to take. 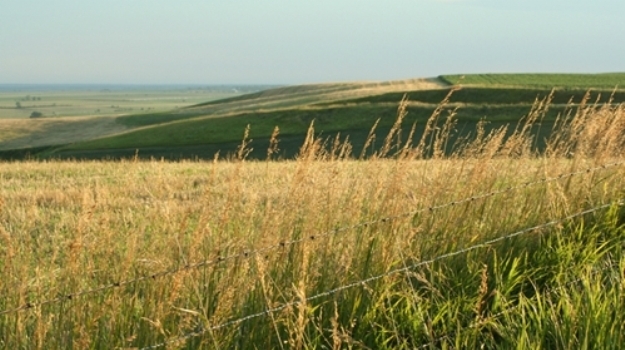 When you’re hunting over a green field, especially on Giles Island, 50 or 60 deer may be out on the green field. Often, hunters will forget about the other deer. They think all they have to do when the bucks step out is make their shots. But when you buddy hunt, hunt with a guide or have a cameraman filming you, the second set of eyes in the tree can be watching all the other deer that you’re not watching and can help you better plan when to take the shot. If I had to boil all this information down to one statement, I think the biggest reason more hunters don’t take more older-age-class bucks is they don’t know when they can and can’t move while hunting from a tree stand.